High-quality, long-lasting pop-up gazebo, suitable for continuous use. 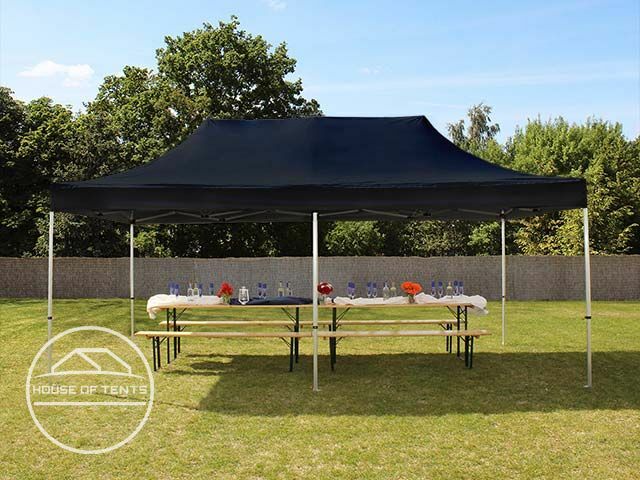 The sturdy 50 mm hexagonal aluminium frame ensures excellent sturdiness and outstanding stability even in bad weather, and the robust, high-performance 400 g/m² polyester tarpaulin with PVC coating has a UV protection of 80+ and is 100% waterproof. 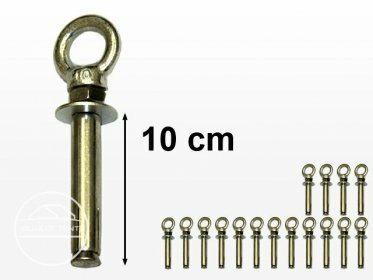 The bolted folding mechanism means the product can be put up or taken down in a matter of minutes. 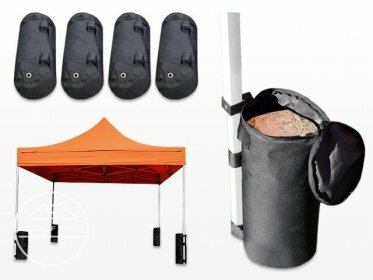 With the supplied storage bag, the pop-up gazebo is convenient and easy to transport.